Dhaka, 24 September, Abnews: A patient, who had a blister on a finger of his left hand, lost his finger at Chandpur General Hospital as medical assistants severed it ‘mistakenly’ on Sunday. 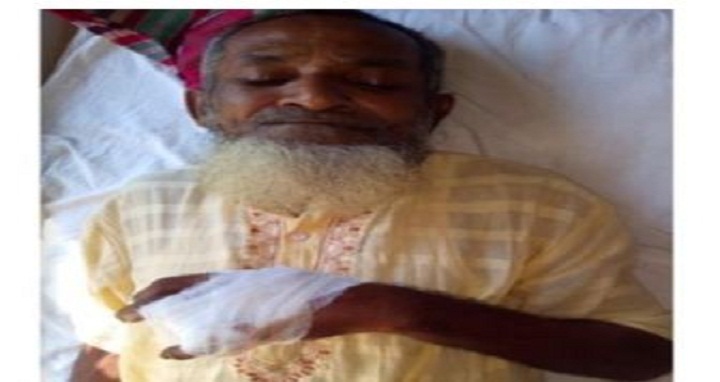 The victim, Kalu Gazi, 65, a resident of Char Bakila village in sadar upazila, was suffering from acute pain in his finger as a blister developed there. He went to the hospital on Sunday morning to get treatment where duty doctor Rafiqul Hasan Foysal advised medical assistants Mahbub and Polash to wash the finger and do some dressing. But, the assistants cut off his finger instead mistakenly, said Dr Foysal, claiming that they have done it without his permission.